So you're hungry -- and you're ready for some American food. Good news: we've found the freshest spots to satisfy your appetite. Here are the newest places to check out the next time you're in the mood for American food. 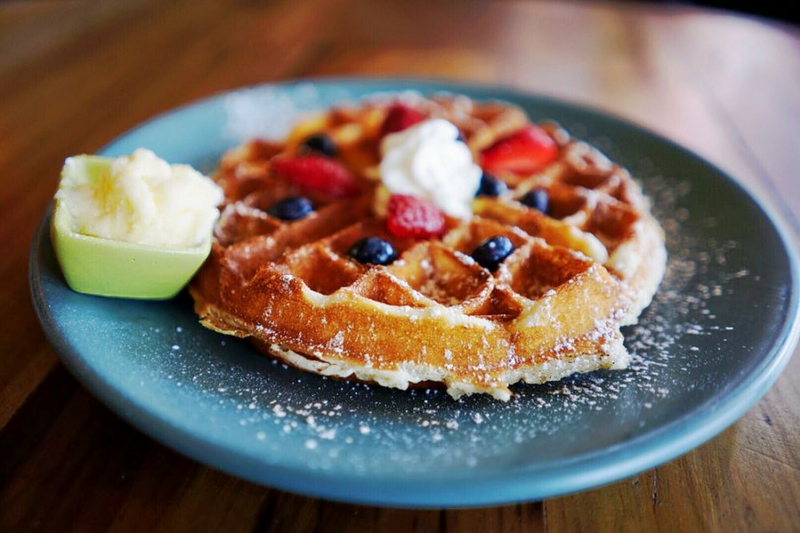 Cracked & Battered is a casual breakfast, brunch and traditional American spot where diners order at the counter, take a number and seat themselves. Get ready for fried chicken and Belgian waffles; grilled brie between sourdough slices with fig jam; eggs scrambled with Armenian beef sausage and herbs; and Indonesian cabbage fried rice topped with fried eggs and a piece of fried chicken. With a 4.5-star Yelp rating out 30 reviews, Cracked & Battered has been well received so far. "Loving this new additional to Potrero Hill," Yelper Michael B. noted. "Much needed. Loving the vibe of this place. It's a casual addition with simple dishes and nothing fancy -- but has a real home-cooked style." Yelper Ger A. wrote, "The menu is a little unusual, but I think that's good and I look forward to trying some new dishes next time." Cracked & Battered is open from 8:30 a.m.-2 p.m. daily. Hi-Way Burger & Fry is a burger joint serving shakes, ice cream, sodas, franks, fries and more on the corner of 24th and Vicksburg streets. Alongside classic burgers and Chicago-style dogs, keep an eye out for The Beyond Burger, featuring a cholesterol- and gluten-free plant-based patty, and boasting zero GMOs; California clubs constructed from bacon, cheddar cheese and avocado; and free-range fried chicken sandwiches drenched in buttermilk batter and dressed with lettuce, pickles and garlic aioli. Hi-Way Burger & Fry currently holds 4.5 stars out of 39 reviews on Yelp. "The double cheeseburger will not disappoint," Yelper Stephen F. noted. "It's big, much better than other options in the area, and quickly becoming one of my favorite burgers in the city." 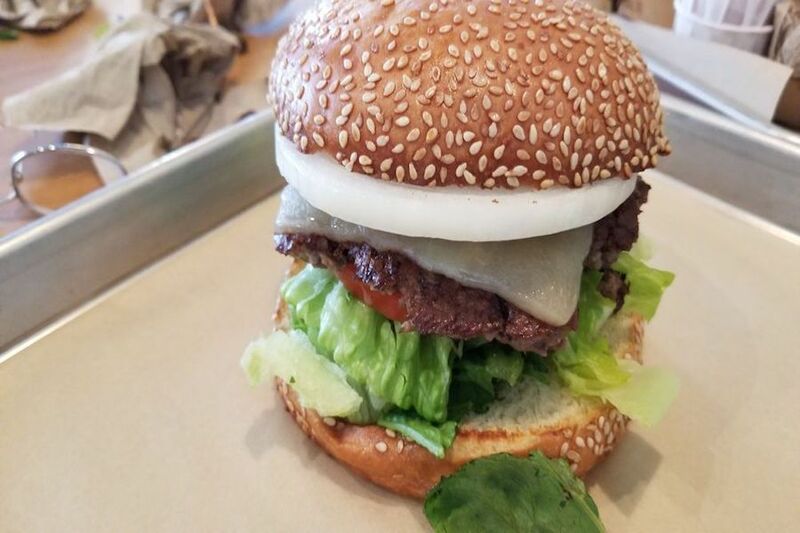 Yelper Lauren T. wrote, "Delicious burger and decent fries. The burger was juicy, flavorful and very filling. Great food, great vibe -- what more can I say?" Hi-Way Burger & Fry is open from 11 a.m.-9 p.m. Sunday-Thursday, and 11 a.m.-10 p.m. on Friday and Saturday. Double Decker is a spot to score chicken wings and burgers, and boasts another location on Grove Street. The new haunt serves its special seasoned double Niman Ranch beef patty with both Swiss and cheddar cheese, and offers options like grilled mushrooms, avocado, jalapeno, bacon and pineapple to top your custom creation. The menu includes fish burgers, chicken wings by the bucket and a selection of sauces. Double Decker's current Yelp rating is 4.5 stars out of seven reviews. 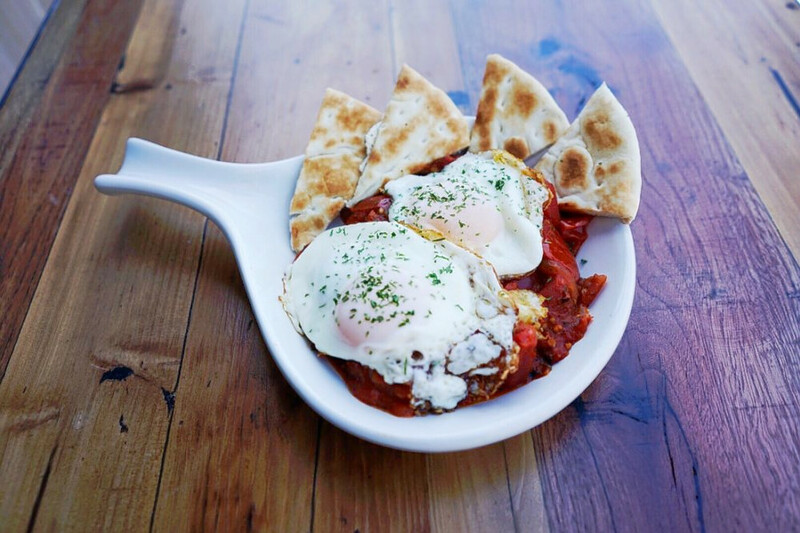 "This is a super-welcome addition to the neighborhood," Yelper Lynae Z. noted. "It's family-run and their meat is quality and worth the price tag. The western burger is my favorite. They also have really good milkshakes and the best garlic fries I've ever had. The interior is nice, reasonably comfortable and not too brightly lit." 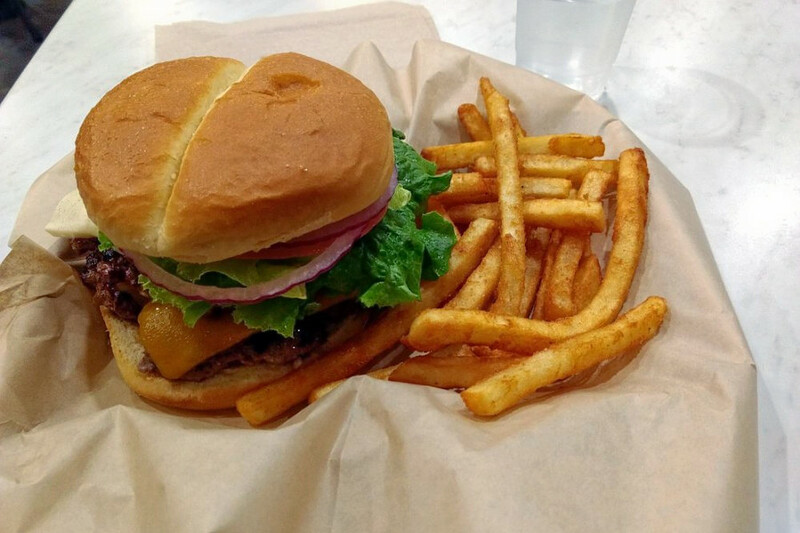 Yelper Cam Y. wrote, "Everything is cooked to order, and the burgers and fries are always good. Try an order of their buffalo wings." Double Decker is open from 10:30 a.m.-9 p.m. daily. Mixt is a New American and vegan spot offering salads and more with alternate locations sprinkled around San Francisco and Los Angeles. Look for health-focused menu items like grain bowls filled with quinoa, cabbage, black beans, cherry tomatoes and Mexican chorizo; grilled chicken sandwiches made with sliced apples, basil pesto, arugula and sharp cheddar; and salads tossed with mixed greens, roasted beets, goat cheese, toasted walnuts and dried cranberries. With a four-star rating out of 30 reviews on Yelp, Mixt has been getting positive attention. "I like Mixt because its efficient," Yelper Sandy B. noted. "If you get the orchard salad, it has everything. It's so fresh and tasty. Don't forget to order the mint lemonade. And this location has a lounge area that's super cool." 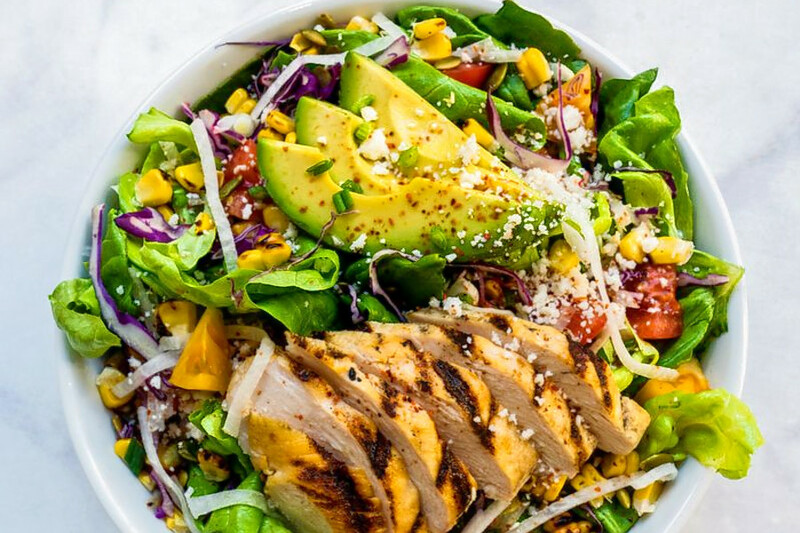 Yelper Annie Z. wrote, "I had a light, refreshing salad made with mango strips, avocado, marinated tofu, arugula, brown rice and more. I loved the zesty flavor of the carrot ginger dressing. The ingredients were well-mixed and the dressing wasn't too heavy." Mixt is open from 11 a.m.-9 p.m. daily.